We'll be in just before half term, so now the organising begins. This seems to include rather more hold music than I'd like. 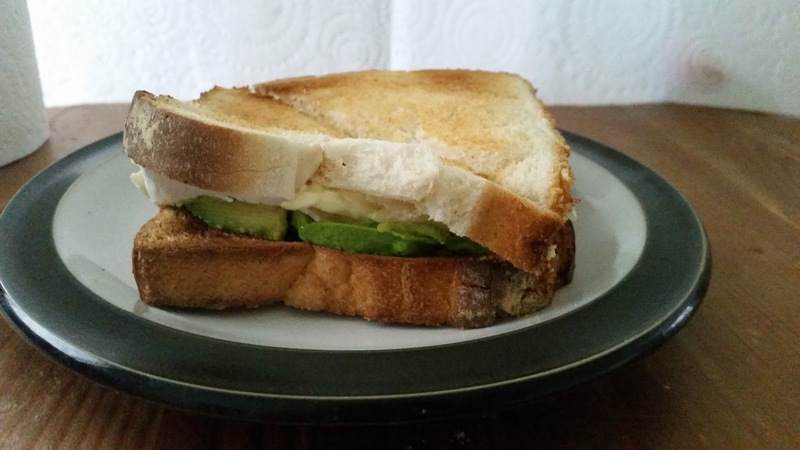 I celebrated the news with a brie and avocado toasted sandwich. My current favourite combination for a bit of a decadent treat. It's not really a recipe but you can have it anyway. Toast two slices of white bread. Butter one side of one piece and on top. Slice half an avocado and lay on top of the buttered bread. Top with slices of brie. A few grinds of black pepper and chilli garlic salt make it. All decent toasted sandwiches should feature a little salt and pepper. Fact. Place the other slice of toast on top and press down a little. Not so much that the filling oozes out but just to help it to all cling together. I reckon it could work quite well in a toasted sandwich maker too. I'd tell you it was good for Roo - but she didn't get a look in!